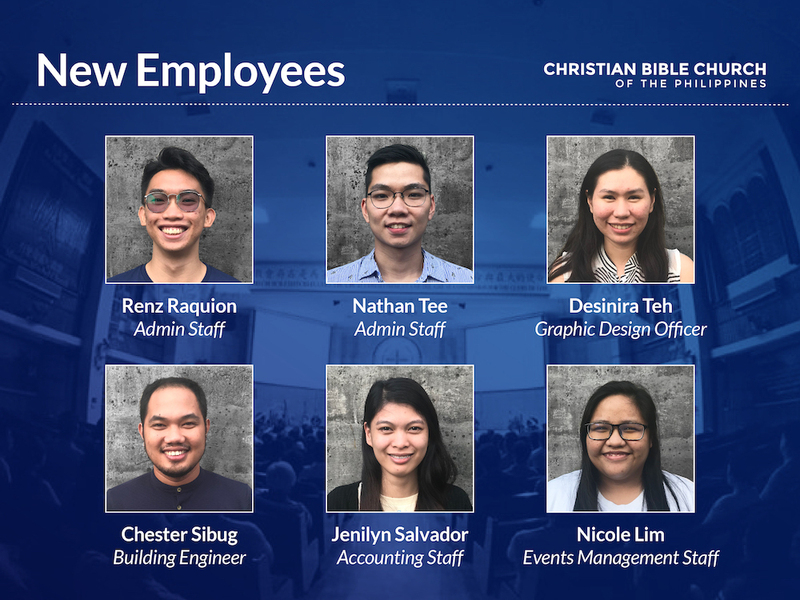 As our church prepares to move to our new Discipleship Center, we praise God for allowing us to welcome six (6) new staff members to our CBCP family. ROOM RESERVATIONS, CHURCH VAN REQUESTS, ANYONE? If you are a Life Group or ministry leader looking to book some space at church for a certain time, remember the name RENZ. Give him a call and he will help you find a suitable space to meet your ministry’s needs. He also oversees the daily schedules of our trusted drivers in case you need a ride to and from the church. In addition, Renz attends to the purchasing requirements of the church and its employees. Aside from his professional duties, he actively leads and serves in the Emerge youth ministry. DO YOU NEED TO BORROW EQUIPMENT FROM THE CHURCH? When it comes to borrowing equipment like projectors, microphones, and cables from the church, NATHAN is the guy to look for. Requests for specific room layouts and setting up of tables and chairs are also his domain. He works hand-in-hand with the Housekeeping Team as he oversees their work in maintaining our Talayan facility and transferring items to the new Discipleship Center. When not at his office table, Nathan is most likely out on campus ministry work or preparing to preach in an Emerge Youth worship service. The newest member of our Creative Media Team is Desinira (or simply, DESI). Her skills and experience as an illustrator make her a valuable addition to the team that creates visual materials for Sunday Worship Services and church-wide activities. Even before signing on as a full-time member of the church staff, Desi has been serving as a choir member and lyrics visual volunteer for the Heavenly Voices Choir. Meanwhile, our Accounting Team has been joined by JENILYN. Her pleasant demeanor is the cherry on top of her ability to stay focused on her varying work responsibilities, such as filing and record keeping, liaising for billing and payments, and payroll preparations. She is now taking on day-to-day responsibilities in the Accounting Department under the guidance of Deacon Cynthia Chua and our Accounting Officer, Jesa Monte. Jenilyn is a member of a local Christian Church at her home town. She started her post with CBCP in December 2018. CHESTER is a licensed electrical engineer who is currently stationed at the project site for our new church building. Under the guidance of Deacon William Ong and Ptr. Albert See, he is currently overseeing the testing and commissioning of the equipment that is being installed at the site. When we move to the new Discipleship Center, he will serve as our in-house Engineer and Maintenance Officer. Last but not least, NICOLE has joined us to help with preparations for our Discipleship Center’s opening ceremonies. She’s also serving as coordinator for church-wide activities, special events, and productions. A creative writer by profession, she also helps craft content for our social media pages and official website. On Sundays, Nicole pours her heart out in worship leading and teaching kids in our Children’s Church. 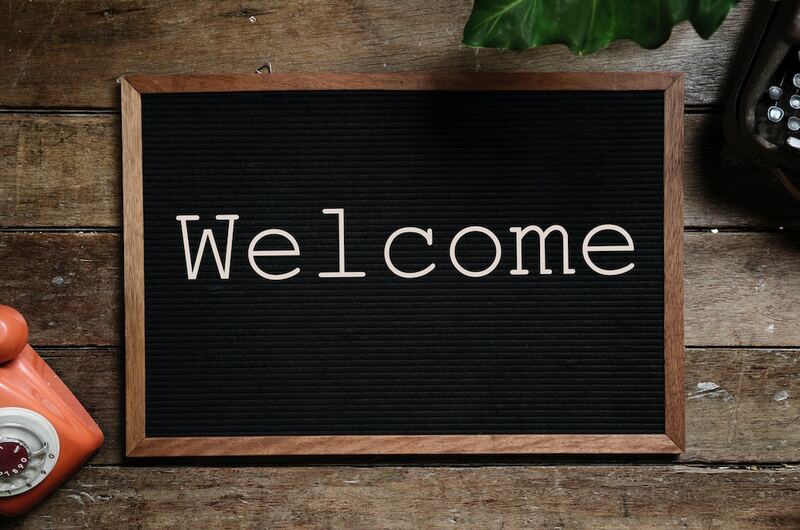 Visit our Team page to learn more about our growing team.